HomeEducationCommonly Asked Questions Why Do Labs Not Agree On Sapphire Gradings? Discovering a sapphire with conflicting lab reports can be confusing, so we break down the most common reasons why that may happen. 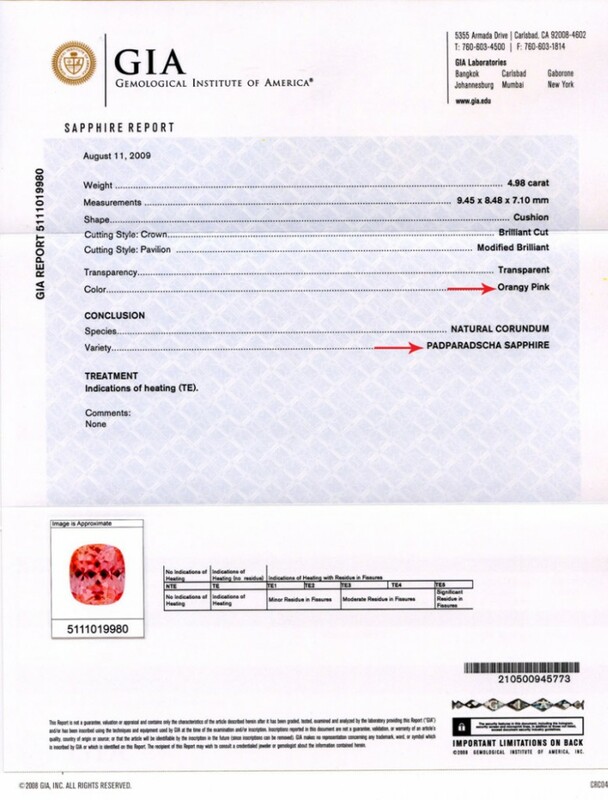 A single padparadscha sapphire was certified as padparadscha in this lab report. As we covered in the last section, it can often be difficult to tell if a stone has been treated for enhancements, especially in the case of pink and padparadscha sapphires, since a lot of change can occur at low temperatures. While one lab may decide that treatment has occurred, another may reach the conclusion that there has been no treatment. Both would be within the bounds of a professional grading. Another factor affecting disagreements on sapphire gradings concerns the color. Lighting is one factor in how color is interpreted. Other factors in color interpretation can be as simple as one person’s eye being more sensitive to color than another person. And color itself is not so straightforward as three factors create color: hue, saturation, and tone. 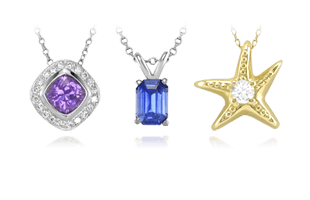 Color is not so simple to define in many situations related to natural untreated sapphires. 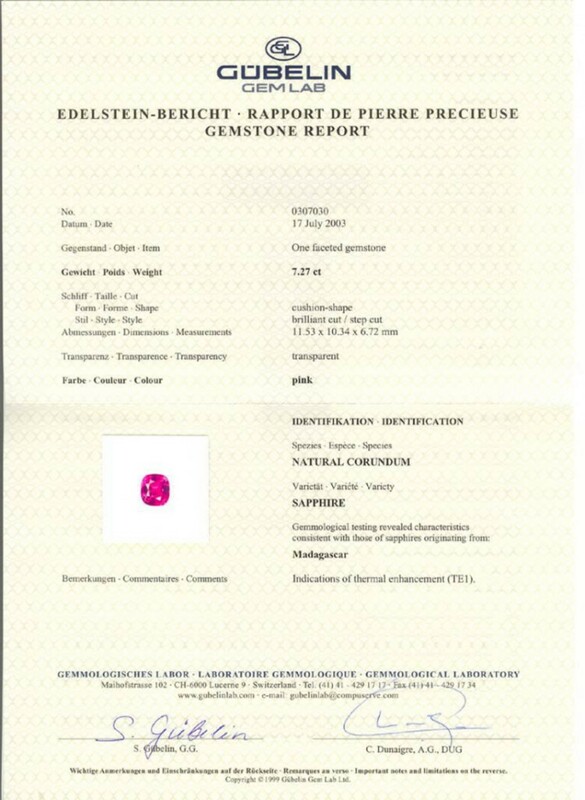 The same lab also listed the same stone as pink in this report from a separate occasion. 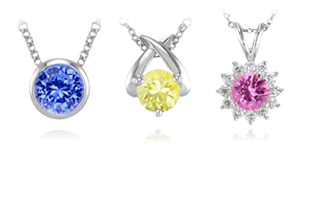 Sometimes there can be up to five combinations of color in one sapphire. 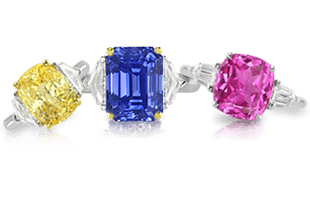 Here at The Natural Sapphire Company we do our best to give the closest classification of color based on what 2 or more gemologists agree on. Color interpretation is a matter of opinion and can vary from one lab to the next. 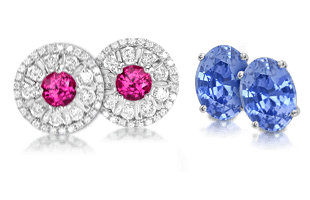 Many of the sapphires from Madagascar are subjected to moderate heat treatments to reduce their purplish secondary colors. 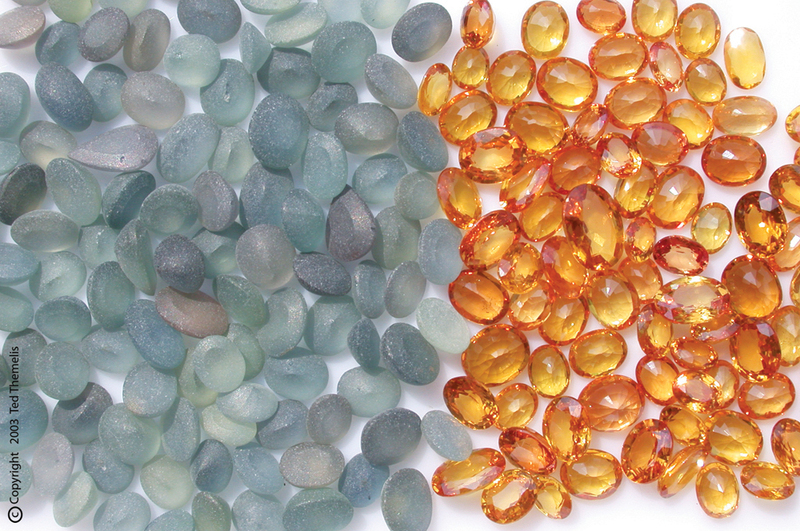 This “gentler” process does not alter the internal characteristics of the gemstone, which makes the detection of heat treatment more difficult for gemologists. Madagascar pink sapphires are heated at about 400 degrees Celsius for only a few hours or even as little as five minutes. The high tech equipment used to distinguish treated stones is costly and beyond the reach of the average gem laboratory. It is still a new science and in many cases, it can be very difficult to determine if a pink sapphire from Madagascar has been heated. Even the most respected professional laboratories have been known to disagree when evaluating the same gemstone. 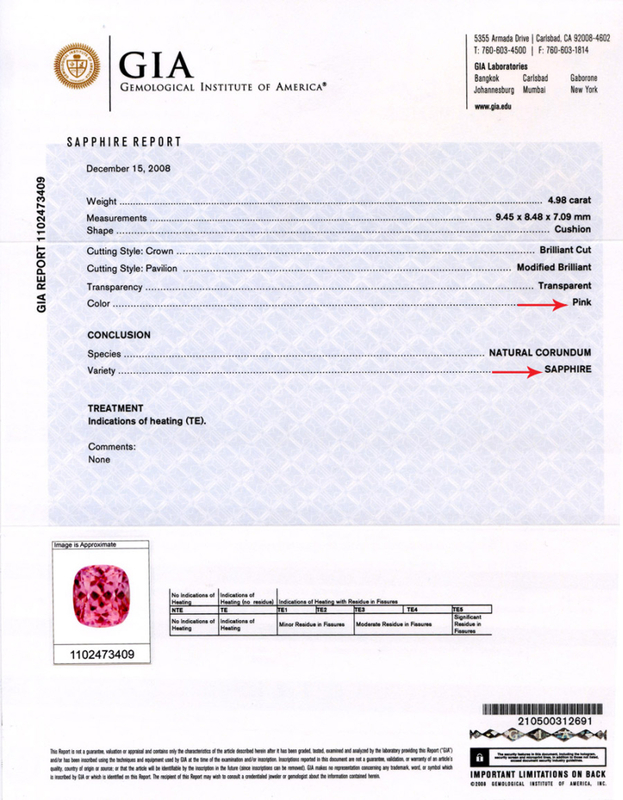 This certificate from Gubelin lab on a pink sapphire indicates that it is heat treated. We have given multiple laboratories the exact same Madagascar pink sapphire for testing to determine if it had been heated or not. We were given conflicting results on the same stone from different laboratories. One stated that the pink sapphire was heated and the other unheated. Reputable laboratories do an excellent job, but just like determining origin, it is a difficult task. Origin is not an exact science at all, although the laboratories will try to sell themselves otherwise; they have all these legal disclaimers on the back of their reports basically saying they have no guarantees on origin and their reportings are not binding; it’s purely an opinion. This certificate from AGTA lab on the same sapphire shows the stone to be natural and untreated. We have very few Burmese sapphires or Kashmir sapphires in our inventory for the sole reason that I believe, after literally decades of experience, that origin is just a general guess. It’s like seeing a potato or an orange in the supermarket. You know it’s a potato by looking at it, you know it’s not mashed potatoes (treated) and you know what type of potato (color) but you can’t really tell where it came from; it could be from California, Idaho or from the neighbors garden down the street. It’s just that simple. I have this discussion all the time with people and some just don’t believe it’s that simple, but it truly is. Origin is totally subjective and I am quite sure that if we send a sapphire to 4 different labs, we’ll get at least 2 different origin opinions. This is why it’s incredibly important to work with a reputable business with reputable suppliers. 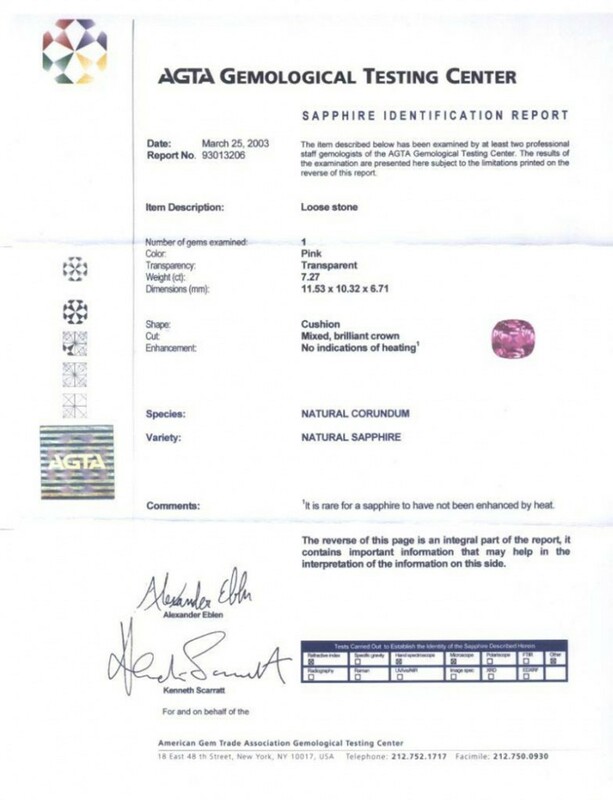 As you can see, the padparadscha sapphire is often met with confusion on some laboratory certificates. We will explore more about this stunning sapphire next in What Is The Color Of a Padparadscha Sapphire? Commonly Asked Questions Are All Sapphires Treated? Commonly Asked Questions What Is The Color Of a Padparadscha Sapphire?